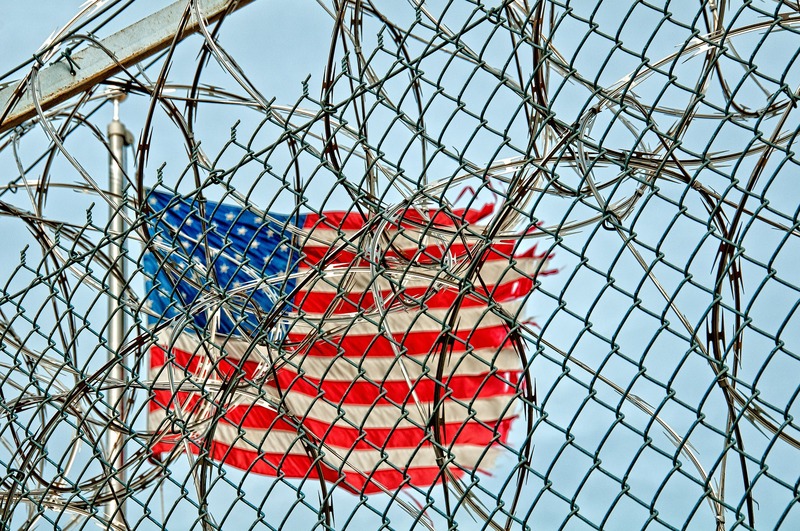 There are nearly 200,000 federal prisoners in the United States. All medically-able, federal prisoners are required to work and typical wages range from 12¢ to 40¢ per hour (before withholding for restitution and fine payments). During incarceration, prisoners are provided with little beyond basic necessities. Anything else must be purchased through the prison commissary. So, any property they accumulate is highly valued and is typically a product of hours of work. For example, a minimum wage worker, with no withholdings for restitution or fine payments, would have to work 12 hours to afford to purchase one roll of dental floss. Prisoners are frequently transferred between facilities, and their property is often lost or damaged during the process. Currently, federal prisoners are left with few to no options to seek compensation for their lost property. Confusion and misinformation of available remedies continues to persist. The BOP’s current Program Statement, and some Institutional Handbooks include incorrect statements of the law regarding damaged property. This article is intended to educate on what the Federal Tort Claims Act is, how federal courts have interpreted it as a remedy for property damage, and how the Administrative Remedy Program factors in as a possible remedy. In its 1984 opinion in Kosak v. United States, the Supreme Court provided a clear interpretation of section 2680(c)’s language. Kosak construed the term “arising in respect of” as “sweep[ing] within the exception all injuries associated in any way with the ‘detention’ of goods.” In this “sweeping,” the Court stated that the exception includes a “claim resulting from negligent handling or storage of detained property.” In 2008, the Supreme Court, in Ali v. Fed. Bureau of Prisons, clarified that section 2680(c)’s language of “any…law enforcement officer” includes BOP officers. On this basis, the Ali court dismissed an FTCA claim of a federal prisoner who, after being transferred between federal penitentiaries, discovered that some of his property was missing. Ali therefore stands for the proposition that loss of prisoners’ property by the BOP is not a legitimate basis for an FTCA claim. Less than a year after the Ali decision, federal courts across the country were grappling with the Supreme Court’s definitive ruling. In Daley v. United States, a federal prisoner filed an FTCA claim in the District of Arizona, alleging that, following his transfer between two facilities, $2,202 worth of his property was missing. The court granted the United States’ motion to dismiss on the grounds that the prisoner’s claim was “barred by the FTCA’s exception for detention of goods by any law enforcement officer.” The Daley court considered it “well settled” that section 2860(c) bars any FTCA claim “‘arising out of’ the detention of goods, and includes a claim resulting from the negligent handling or storage of detained property.” The plaintiff in Daley asserted that his claim was not about the “detention of his property, but rather the violation of policies and protocols.” The court rejected this argument because (1) the FTCA “maintains sovereign immunity for the entire universe of claims against law enforcement officers … ‘arising in respect of’ the ‘detention’ of property,” and (2) violations of protocols “are not, by themselves, actionable under the FTCA.” The prisoner did not assert in his complaint that his property was stolen or willfully destroyed, but simply that the property had gone missing. Federal Tort Claim: If the negligence of the institution staff results in personal injury or property loss or damage to property, it can be the basis of a claim under the FEDERAL TORT CLAIM ACT. To file such a claim, inmates must complete a STANDARD FORM 95. They can obtain this form from the Safety Manager or Unit Team. Due to the Ikelionwu decision, it is doubtful that the Handbook’s language could be used as a basis for asserting waiver of sovereign immunity. However, filing a Standard Form 95 (“SF-95”) may lead to some success, since the BOP had offered to settle in the Ikelionwu case (for a small fraction of the prisoner’s estimate of his property value) prior to the prisoner’s filing of the FTCA claim in district court. In Husband v. United States, the U.S. Court of Federal Claims re-stated the Ali position: “Although the district courts have jurisdiction under the FTCA for civil actions on claims against the United States for loss of property caused by negligent or wrongful acts of Government employees, the detention of goods or other property by law enforcement officers is specifically exempted.” However, Husband noted that section 2680(c) does not fully address the potential claims when federal employees commit certain intentional torts (“harms”). In Husband, the complainant alleged that federal employees “seized” his property, stating specifically that his loss of property was “due to theft, and not because of negligence.” Section 2680 does include a list of intentional torts that are excepted from the FTCA. However, section 2680 does not contain a blanket exclusion of all intentional torts. Specifically, the Husband court noted that theft is an intentional tort that is not listed as an exemption However, section 2680 also lists certain intentional torts related to “acts or omissions” of “law enforcement officers,” as states that these intentional torts are not exempted (i.e. that may be the basis of an FTCA claim), and theft is not included in that list. The Husband court then transferred the case to the Southern District of Indiana so the district court could make the determination of whether there is a valid FTCA claim when a plaintiff alleges “that law enforcement officers committed the intentional tort of conversion.” Upon transfer, the district court granted the government’s motion for summary judgment. In considering the motion, the court cited Ali for establishing that section 2680(c) applied to all law enforcement officers. The district court stated that the “allegation fits directly within” section 2680(c)’s exception to the FTCA. The district court did not specifically address the intentional tort of conversion argument, which seems to imply it determined that the act of “stealing” is covered under section 2680(c). Although the FTCA provides little hope for prisoners who have their property lost or damaged by BOP staff, the Administrative Remedy Program (“ARP”) provides an avenue for limited relief. The ARP allows any inmate housed in a BOP operated institution “to seek formal relief of an issue relating to any aspect of his/her own confinement.” While 28 C.F.R. § 542.10(c) mentions that there is a statutorily-mandated procedure in place for tort claims (the SF-95), it does not require that an inmate only seek relief through the SF-95. The old ARP included a section listing issues excluded from consideration under the ARP (including tort claims). The removal of these exclusions was for the purpose of “allow[ing] inmates to file any claim under the Administrative Remedy Program, even those [claims] which have statutorily-mandated remedies.” Although prisoners can now file any claim under the ARP, they are not required to file a statutorily-mandated claim under it. While the ARP “ordinarily cannot provide monetary relief[,] [a]n inmate’s claim for monetary relief may,  present the basis for non-monetary relief.” Since the ARP has rigid time limits for filing, prisoners should be aware that solely pursuing FTCA claims for their lost or damaged property puts them at risk of waiving possible remedies from the ARP program. Section 2680(c) was not drafted to specifically target prisoners. In fact, four Justices of the Supreme Court found that section 2680(c)’s language does not include BOP officers. Unfortunately, since Congress has not amended section 2680(c), prisoners are unlikely to find relief under the FTCA for the loss or damage of their property by BOP staff. Even though the BOP Program Statement, and some Institutional Handbooks, include misleading language on the FTCA as a potential remedy, this alone does not provide a legal basis to seek relief under the FTCA. Further, it is not clear what (if any) intentional torts related to property loss or damage will provide a basis for an FTCA claim. However, since the Administrative Remedy Program can provide some relief, and grievances under the ARP have short windows for filing, prisoners may consider ARP filings in addition to any FTCA related claims. Prisoners in 2015, E. Ann Carson, (Dec. 2016), https://www.bjs.gov/content/pub/pdf/p15.pdf (approximately 18% of the federal prison population is housed in private prison facilities); Work Programs, https://www.bop.gov/inmates/custody_and_care/work_programs.jsp (last visited February 26, 2017). Work Programs, https://www.bop.gov/inmates/custody_and_care/work_programs.jsp (last visited February 26, 2017). FCI Fort Dix Commissary List, https://www.bop.gov/locations/institutions/ftd/FTD_CommList.pdf (last visited February 26, 2017). 28 U.S.C. § 1346(b) (2012). Sovereign immunity is a doctrine stating that governments cannot be sued unless they consent to a lawsuit. Sovereign Immunity, https://www.law.cornell.edu/wex/sovereign_immunity (last visited February 26, 2017). Sovereign immunity is only waved if a private person, under the same circumstances, “would be liable to the claimant in accordance with the law of the place where the act or omission occurred.” 28 U.S.C. § 1346(b) (2012). 28 U.S.C. § 2680 (2012). Kosak v. United States, 465 U.S. 848, 853–54, (1984) (emphasis added). Kosak v. United States, 465 U.S. 848, 853-54, (1984). Ali v. Fed. Bureau of Prisons, 552 U.S. 214, 215-17, (2008). Daley v. United States, No. CV 08-0261-TUC-CKJ, 2009 U.S. Dist. LEXIS 33798, at *9 (D. Ariz. Apr. 17, 2009). Daley v. United States, No. CV 08-0261-TUC-CKJ, 2009 U.S. Dist. LEXIS 33798, at *9 (D. Ariz. Apr. 17, 2009) (finding that the present claim fell “within those barred under Ali). Ikelionwu v. Nash, 324 F. App’x 152, 152 (3d Cir. 2009). Ikelionwu v. Nash, 324 F. App’x 152, 153 (3d Cir. 2009). Federal Tort Claims Act, Program Statement, 3 (Aug. 1, 2003), https://www.bop.gov/policy/progstat/1320_006.pdf; 28 C.F.R. § 543.31(a) (2017). Admission and Orientation Inmate Handbook, FCI Fort Dix, 10 (Apr. 2016), https://www.bop.gov/locations/institutions/ftd/FTD_aohandbook.pdf. Husband v. United States, 90 Fed. Cl. 29, 40-41 (2009). 28 U.S.C § 2680(h) (2012); see, e.g., Husband v. United States, 90 Fed. Cl. 29, 40-41 (2009) (“[T]respass, conversion, and intentional infliction of emotional distress are not excluded.”). 28 U.S.C. § 2680(h) (2012). Husband v. United States, No. 1:10-cv-374-RLY-TAB (S.D. Ind. Oct. 29, 2010). Administrative Remedy Program, Program Statement, 1 (Jan. 1, 2014), https://www.bop.gov/policy/progstat/1330_018.pdf; 28 C.F.R. § 542.10 (2017) (emphasis added). Administrative Remedy Program, Program Statement, 1 (Jan. 1, 2014), https://www.bop.gov/policy/progstat/1330_018.pdf; 28 C.F.R. § 542.10(c) (2017). Administrative Remedy Program: Excluded Matters, 67 Fed. Reg. 50804, 50804 (Aug. 6, 2002).